2018 is almost at a close, but we’re not done herping for the year! We’d like to end off the year with a bang in the same way we started it; with a walk at Sungei Buloh Wetland Reserve. We’re back! We’ll be hosting another walk up Bukit Timah Nature Reserve. Reptiles and amphibians are often thought of as scary or unnecessary. But in reality, herps are important and integral to the Singaporean ecosystem! BTNR is an amazing place to spot some of these elusive creatures. Come join us! HSS is excited to bring you a night walk through Tampines Eco-Green! Although it is an urban park, a stroll through this green patch can be very rewarding. See the many bats flying in the sky as dusk falls. Listen to the bellowing call of the Banded Bullfrog. If we’re lucky, we may even come across a snake or two! So what are you waiting for? Let’s go herping! You can register at this link. Maybe we’ll see a Monitor Lizard foraging in the leaf litter! Yes! We’re back! After the last month of doing walks at Pulau Ubin and Tampines Eco-Green, we are resuming our monthly free guided walks. TreeTop Walk is one of our favourite places to herp. So come join us on this walk through Singapore’s Central Catchment Nature Reserve. Learn more about the natural heritage of our tiny island. And if we’re lucky, we might meet some of our scaly friends! Festival of Biodiversity 2018 is coming soon on the 2nd and 3rd of June! 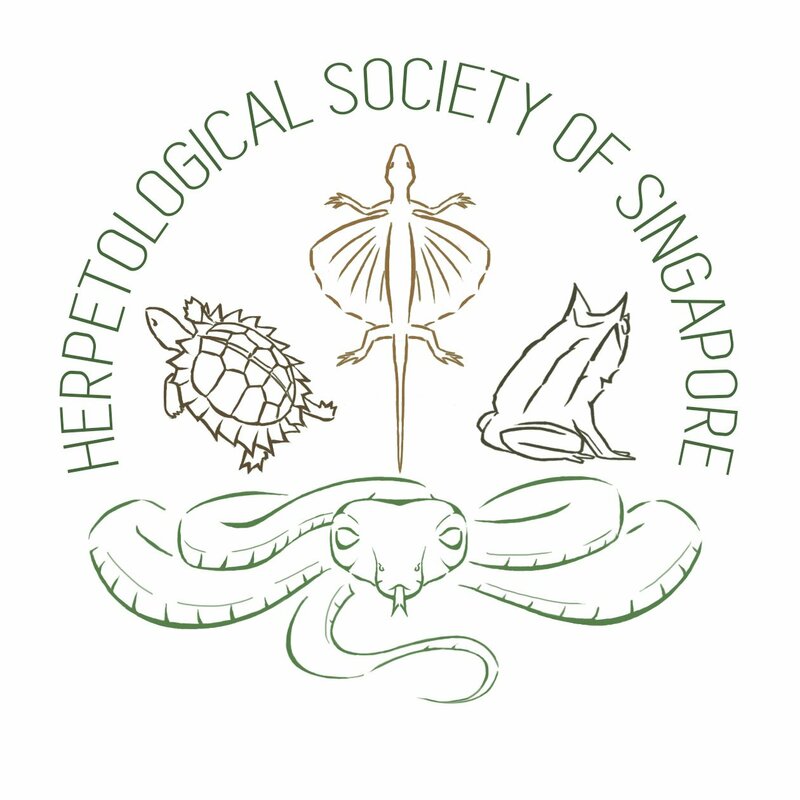 HSS will have a booth there, showcasing the awesome herpetofauna that can be found in Singapore! Come visit us at the Festival of Biodiversity! As part of FoB2018, we will also be collaborating with the Vertebrate Study Group to bring you a night walk through Tampines Eco-Green! Although it is an urban park, a stroll through this green patch can be very rewarding. See the many bats flying in the sky as dusk falls. Listen to the bellowing call of the Banded Bullfrog. If we’re lucky, we may even come across a snake or two! An adorable Clouded Monitor (Varanus nebulosus), an example of one of the many herps found in BTNR. It’s March! And we’re excited to be bringing you another walk, where we march (pun intended) up Bukit Timah Hill! We’d love it if you could join us for this walk! Reptiles and amphibians are often thought of as scary or unnecessary. But in reality, herps are important and integral to the Singaporean ecosystem! Due to high demand, we’ve decided to open up another 25 slots for a second guided walk that we will be holding concurrently with the walk on 21st January 2018! Walk Number 2 will start at the Visitor Centre and head to the mangrove boardwalk at the main Wetland Reserve! So, what are you waiting for? Come herping with us! Register at this link.